The most important thing I tell beginning writers (and myself whenever I’m struggling which is often) is to put one’s bottom on the chair every day and dedicate whatever hours you can to work. The daily commitment is more important than the amount of time you spend at it. For me, writing is a process that needs to be attended to, fed, and kept alive every day no matter how difficult or non-productive the time may seem. The struggle to write is part of the process, and often as you take a walk or a shower or fold laundry or drive to a meeting or any of the other mundane tasks we all do during a day, your creative brain will gift you with some insight or bit of dialog or the very answer to the problem you couldn’t solve that morning. But only if you keep the process alive by working every day. How would you recommend creating and getting to your know your characters? Write notes to yourself about your characters before you begin your work. Sit in front of the empty screen and write down whatever comes to mind – facts like how old they are, what the look like, but also random thoughts like whether they have nightmares or like physical exercise or what their favorite food is or whether they’re a dog person. Whatever comes to mind, whether it is germane to the story you’re telling or not. You have to know your characters (even the secondary ones) as well as you know the members of your own family. That knowledge will inform what they say and how they behave. It will make your characters particular and interesting and ultimately, if you know them well enough, THEY will tell you what they want to say and do. Surprise yourself when you’re writing. What are three of four books that influenced your writing, or a had profound effect on you? Well before I even contemplated becoming a writer, I read Doris Lessing’s novel, The Golden Notebook, and was astonished to realize that one could write a whole book about the intimate, mundane lives of women. I think it was the first time I realized that this territory was important enough to explore. Amy Bloom taught me how to write about grief – the theme which unites the stories in my collection, Tell Me One Thing. In her story, Sleepwalking, from her collection, Where The God of Love Hangs Out, she writes about how the family members left behind deal with the death of their husband and father without ever mentioning grief or having people break down into emotional messes. It’s all in the behavior of the characters and is amazingly moving and restrained and powerful. I was astonished when I read Elizabeth Strout’s novel, Olive Kitteridge, that it was possible to write a truly prickly, often unlikeable character and still create understanding and sympathy and connection to her. 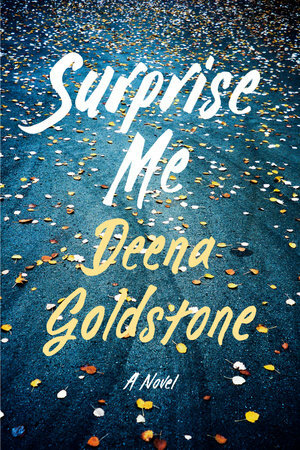 Strout helped me be bolder in writing my characters and certainly gave me permission to create Daniel, in Surprise Me, with all his idiosyncrasies and edges and flaws. 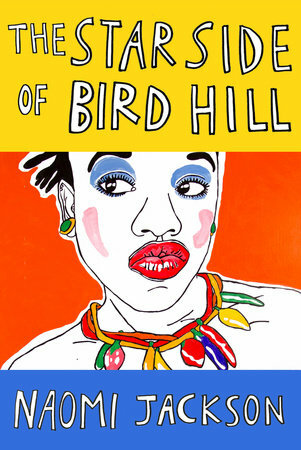 I fell in love with Naomi Jackson’s debut novel about a matriarchal family in Barbados, The Star Side of Bird Hill, from the opening page. In short order, Jackson indelibly captures Barbados’ Bird Hill neighborhood and the two young Braithwaite sisters who have left Brooklyn to come and live there with their grandmother. From its very first line, Star Side plunges us in this very specific, very beautiful community: The people on the hill liked to say that God’s smile was the sun shining down on them. Jackson’s first descriptions of the girls at the heart of this novel are also stunning. Dionne, the elder sister, is “sixteen going on a bitter, if beautiful, forty-five.” Phaedra, age ten, saw “her skin had darkened to a deep cacao from running in the sun all day in spite of her grandmother’s protests… Glimpses of Phaedra’s future beauty peeked out from behind her pink heart-shaped glasses, which were held together with scotch tape.” Before I turned to the second page, I was fully immersed in this place, and I felt I had known these girls for years. Author Naomi Jackson grew up in a predominantly West Indian neighborhood in Brooklyn and spent summers in Barbados with her family. There is a strong autobiographical element to Star Side, which explores themes of immigration and identity, motherhood and family, sexual awakening and coming of age, and mental illness and belonging. 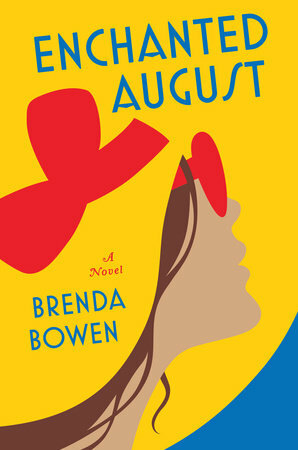 After their mother’s breakdown in New York forces them into exile in Barbados, Dionne spends the summer in search of love, while Phaedra explores Bird Hill, where her family has lived for generations. The girls’ grandmother, Hyacinth, is a midwife and practitioner of the local spiritual practice of obeah. Hyacinth is a magical character, and the novel beautifully explores parenthood through her loves and losses. Her daughter Avril left Barbados for good when she fell for the girls’ father Errol. When Errol arrives to reclaim the sisters, the girls must choose between two worlds, as their mother once did. It has been so gratifying to see in-house readers, booksellers, and reviewers connect with this lyrical narrative. Jackson’s Barbados captured our imagination, and her characters are unforgettable, especially the heartbreaking young Phaedra.The Star Side of Bird Hill is an Indies Introduce selection, and many of our independent bookselling partners told me at BEA how excited they were to get this novel into the hands of their more advanced YA readers, as well as their adult readers who love transporting, literary fiction. I look forward to seeing many more readers fall for Star Side and the very talented Naomi Jackson. Read more about The Star Side of Bird Hill here. 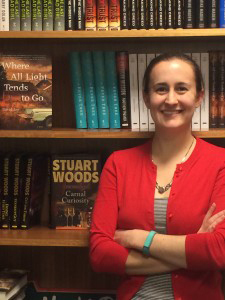 Putnam Editor Sara Minnich answers “Three Questions for an Editor” about her work on David Joy’s Where All Light Tends to Go. This highly praised debut novel is a savage and beautiful story of a young man seeking redemption. In the meth-dealing family at the center of the book, killing a man is considered a rite of passage, but when eighteen-year-old Jacob McNeely botches a murder, he is torn between appeasing his kingpin father and leaving the mountains with the girl he loves. The world that Jacob inhabits is bleak and unrelenting in its violence and disregard for human life, and having known nothing more, he wonders if he can muster the strength to rise above it. 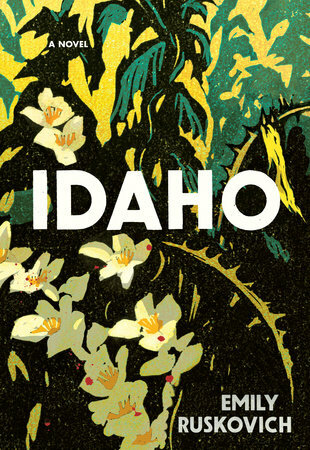 For a debut novelist, David Joy has a writing style that feels so natural and remarkably assured as he creates an off-the-grid world populated by authentic characters that are bound to cause readers to feel a wide range of emotions. What were your thoughts and impressions as you read the initial manuscript for the first time? I was hooked within the first few pages of Where All Light Tends to Go. Both the writing style and the voice of the young protagonist were raw and gritty, utterly real. After promising opening pages, I was crossing my fingers in hope that the rest of the book would hold up – and it absolutely did. Shortly into the story things take a shocking and violent turn, and the pace only escalates from there. Mostly I remember being unable to put it down. The manuscript needed some work, but I knew from the first read that I loved it and that David was the real deal. How would you describe the scope of the editor/author process as Where All Light Tends to Go evolved into a finished book? The first draft that I read was in fairly solid shape in terms of the plot, pacing, and writing. The element David and I spent the most time revising over the course of three drafts was the relationship between the hero, Jacob McNeely, and his love interest Maggie. Maggie’s character needed to be fleshed out, and David did a lot of work to find her voice and to help the reader understand the magnetism between her and Jacob. Their relationship was fundamentally transformed from the first draft to the final book, in a way that brought a lot of heart and hope to a story that is ultimately quite dark. This novel is not your traditional “book club” book, given the gritty nature of a lot of the stories that unfold in its pages, but it feels like a book that will spark a lot of discussions. What kinds of readers do you think will be most attracted to Where All Light Tends to Go and why? The novel falls firmly in the category of country noir, so would be perfect for readers of Daniel Woodrell and Larry Brown. Fans of shows like “Breaking Bad” or “Justified” would also find much to enjoy – a strong sense of place, characters that leap off the page, a grim and intense story, and a relentless pace. Read more about Where All Light Tends to Go by David Joy here.